Leptron helicopters are widely used in the Real Estate market for all areas including Commercial, Residential, or Industrial properties. 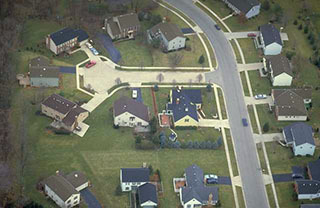 The high and low altitudes provided by the UAS allows for the ability to create promotional videos, photos and unique shots that normal camera aspects cannot capture. The easy to use video and photo platform that Leptron offers allow properties to stand out and show dazzling views and concepts that are typically shown via expensive computer animation or costly helicopter rentals. Imagine shooting a view from a high rise condo in stunning High Definition that shows your potential customer the actual view from their residence. The remote platform is also great for new planning, zoning and large developments. Simple and easy to use video and photo’s allow for multiple height pictures and elevation views. Leptron helicopters offer unprecedented features, such as a integrated autopilot with GPS waypoint navigation, superior altitude, and battery power for quiet operations, and the ability to carry select HD video equipment. With the optional photo rendering software, it is simple to create 3D maps and profiles of the geography that is necessary for flood and building analysis. The field of Agriculture can include commercial, flood assessments, drought, snow packs, and many other conservation efforts. The ability for the platform to fly pre-saved ‘Missions’ via the fully automated ground station allows for time-lapse photos of fields, crops and known land tracts. This ability to accurately re-create the same pattern during all seasons is invaluable data for land and soil management. The capability of the helicopter drone to utilize multi-spectral and custom sensors, HD video, HD photos and IR camera packages allows for detailed analysis and recording. With the optional photo rendering software, 3D maps and topography can also be created in conjunction with the time-lapse photos to create highly detailed maps for erosion, flood mapping and other critical aspects for land management. 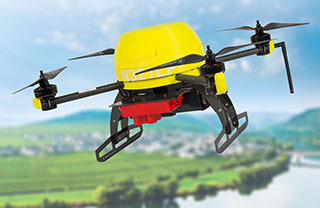 Use of Leptron helicopter drones in the field of Construction can include roads, bridges, commercial housing, industrial developments, and high rises. All aspects of construction from the designing stages to final construction depend on highly accurate site data. The simple to use platform allows for multiple angles of HD still photos and videos of the site. With the optional photo rendering software, 3D maps and topography can also be created in conjunction with standard photos to create highly detailed elevation views, detailed and exact distances with CAD quality drawings, digital elevation mapping, 3D contour, and digital surface modeling for any photographed structure. Our helicopters UASs offer unprecedented features, such as an integrated autopilot with GPS waypoint navigation, superior altitude, and battery power for quiet operations, and the ability to carry select HD video equipment. The ability to create real time data for all parties in construction is critical to the success of projects, without the expenses of traditional helicopter and fixed wing aircraft views. All types of power and utilities including gas, coal, power, chemical and refineries are in constant repair that demand expensive manpower and resources to maintain them. Leptron helicopter UASs with simple to use autopilot and camera systems allow for a dramatically reduced effort. 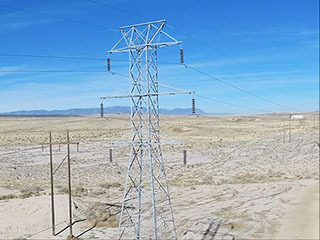 These systems allow operators the ability to cover vast expanses of pipelines and transmission lines in a fraction of the time with detailed HD photos and HD video. In addition, viewing and cataloging difficult to access areas of refineries, and production facilities are now easy and inexpensive compared to traditional helicopter and fixed wing costs. Also, with the IR cameras and sensing payloads, leaks and dangerous conditions are easily accessed and viewed from a safe distance. Leptron helicopter drones offer unprecedented features, such as quiet operations and the ability to carry select HD video equipment. Other uses include gas detection, leak detection, thermal imaging, and topographical mapping. Because of their rugged design and implementation, harsh weather and extreme temperature ranges are not issues when managing critical operations (up to 45 mph winds and -20 to 120 degree ranges). Unfortunately, maritime and shipping is now spoken in context of defense and protection on the high seas. Leptron helicopter UASs with the simple to use autopilot and camera systems allow for a dramatically easy to use surveillance and threat assessment. These systems allow operators the ability to cover large view of a ship, including hard to view areas over the sides of a large super tanker. In addition, viewing the perimeter at sea offers crucial time in a ‘hostile’ situation when assistance is not available. Also, with the IR cameras and sensing payloads, leaks, and dangerous conditions are easily accessed and viewed from a safe distance. Leptron helicopter drones offer unprecedented features, such as a integrated autopilot with GPS waypoint navigation, superior altitude, battery power for quiet operations, and the ability to carry select HD video equipment. 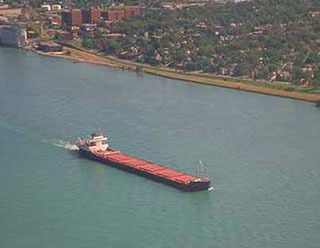 Because of their rugged design and implementation, maritime harsh weather and extreme temperature ranges are not issues when managing critical operations (up to 45 mph winds and -20 to 120 degree ranges). Whether the shot requires unique views and expansive panning or extreme altitude with radical views, Leptron helicopter UASs are designed to hold up under demanding conditions. Because of the patented Autopilot feature with pre-designed mission management and R/C control interrupt, the pilot can easily create the ultimate shot with HD Video or HD still photos. Also, because of electric propulsion they fly at altitudes our competitors cannot touch without messing with fuel carburetors and windy conditions. Leptron helicopter UAVs offer unprecedented features, such as a integrated autopilot with GPS waypoint navigation, superior altitude, battery power for quiet operations, and the ability to carry select HD video equipment. 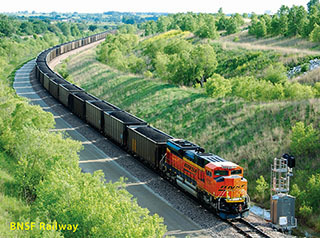 Similar to the utilities, railroads also span a large and diverse landscape and are in constant repair and maintenance that demand expensive manpower and resources. The Leptron helicopter drones with simple to use autopilot and camera systems allow for a dramatically reduced effort. These systems allow operators the ability to cover vast expanses of track and crossings in a fraction of the time with detailed HD photos and HD video. In addition, viewing and cataloging difficult to access areas of track and viewing potential hazards are now easy and inexpensive compared to traditional helicopter and fixed wing costs. Also, with the IR cameras and sensing payloads, dangerous conditions are easily accessed and viewed from a safe distance. Because of their rugged design and implementation, harsh weather and extreme temperature ranges are not issues when managing critical operations (up to 45 mph winds and -20 to 120 degree ranges). Similar to Movies and Videography each new assignment may require a completely different shot or view of a scene. Leptron helicopter UASs are designed to be rapidly deployed in less than 5 minutes, without a cumbersome laptop to fly in autopilot mode and with the simple to use video package it is easy to create the ultimate shot with HD Video or HD still photos. Simply, plug in the batteries and get the ‘scoop’ on the story before the competition. Because of their rugged design and implementation, harsh weather and extreme temperature ranges are not issues when managing critical operations (up to 45 mph winds and -20 to 120 degree ranges). Also, because the electric propulsion (8 HP Motor), they can fly at altitudes our competitors cannot touch. We also offer 45 minutes of hover capabilities and the ability to carry select professional HD video equipment so that no shot escapes you. Managing large areas of remote and isolated land, wild animals and people is a complex job, especially when more people are now enjoying the outdoors. These personnel constantly need to monitor animals, land and ever changing weather to insure safety. Leptron helicopter drones excel in physically challenging environments, daytime or night. The ability for the platform fly pre-saved ‘Missions’ via the fully automated ground station allows for time-lapse photos of camping facilities, trails, and known land tracts. Leptron helicopter UASs are designed to be rapidly deployed in less than 5 minutes, and with the simple to use video package it is easy to create the ultimate surveillance or search and rescue. Leptron helicopter UAVs offers parks personnel the ability to quickly assess from a distance, animals, changing conditions in extreme hiking areas, and assist in HD photos for conservation. Also, parks personnel are often called into action to assist in law enforcement and Leptron helicopter drones are ready to assist with poachers and other illegal activity on park grounds. With the optional FLIR system, Leptron helicopter UASs can assist in Search & Rescue operations, by offering heat signatures of lost people during a crisis mode. In addition, Leptron helicopter UASs are also used for training, and surveillance operations. Similar to National Parks and Recreation, Wildlife Management requires covering vast areas of remote and isolated land to protect and understand wild animals. These efforts have traditionally been completed via expensive aircraft, helicopters and automobiles. Leptron helicopter UASs excel in physically challenging environments, daytime or night to allow for an inexpensive method for all aspects of surveillance. The ability for the platform fly pre-saved ‘Missions’ via the fully automated ground station allows for time-lapse photos of camping facilities, trails, and known land tracts. Leptron helicopter drones are designed to be rapidly deployed in less than 5 minutes and with the simple to use video package it is easy to create the ultimate surveillance or search and rescue. Leptron helicopter drones can offer Wildlife personnel the ability to quickly assess from a distance, animals, changing conditions in extreme hiking areas, and assist in HD photos for conservation. Also, wild life personnel are sometimes called into action to assist in law enforcement and Leptron helicopter UASs are ready to assist with poachers and other illegal activity. With the optional FLIR system, Leptron helicopter UASs can assist in search and rescue operations, by offering heat signatures of lost people during a crisis mode. In addition, Leptron helicopter drones can also used for training, and surveillance operations. Insuring that US utilities: Electricity, water, and nuclear facilities are always online, and available is the job of personnel at these facilities. This effort is a twenty-four hours a day job, especially when potential ‘bad guys’ want to see these facilities harm. These personnel are constantly in surveillance and data gathering mode and these areas have special needs to review perimeters, evaluate spills or hazardous leaks remotely, identify potential threats, and respond quickly if an intrusion does occur. The ability for the platform to fly pre-saved ‘Missions’ via the fully automated ground station allows for time-lapse photos of perimeters and large spaces quickly. Leptron helicopter drones excel in rapid deployment and physically challenging situations, daytime or night. Leptron helicopter drones are designed to be rapidly deployed in less than 5 minutes and with the simple to use video package it is easy to create the ultimate surveillance or hazardous accident photography. Leptron helicopter UASs offer unprecedented features, such as battery power for quiet operations, and the ability to carry select HD video equipment. Because of their rugged design and implementation, harsh weather and extreme temperature ranges are not issues when managing critical operations (up to 45 mph winds and -20 to 120 degree ranges). Leptron helicopter UASs offers facilities personnel the ability to quickly take HD photos, HD Video or FLIR video to identify heat signatures of intruders during a crisis mode. In addition, Leptron helicopter UASs are also used for training, perimeter management and surveillance operations. Annual dam infrastructure monitoring is required by The National Dam Safety Program which is administered by Homeland Security through the Federal Emergency Management Agency and 33 CFR 222.6. Operators require an easy way to find areas of interest on dam walls and compare against prior reports. Drones can reduce costs and eliminate the risk of endangering human lives. Leptron Unmanned Aircraft Systems can collect high-resolution digital photos of dam surfaces. Video can create a record which engineers can study for crevices, erosion, weathering and flaws. Traditional methods of dam inspection are insufficient and extremely dangerous. They are carried out by climbing, repelling, hanging from a rope/harness and even erecting scaffolding. Using a drone for dam inspections is a much safer alternative. In addition, the ability to program the flight path with a lawnmower pattern can create repeatable missions for periodic comparison. Unmanned aircraft can be deployed quickly and can get to difficult to reach or unsafe areas. Drones can be used for inspecting bridges and buildings too! Unmanned aerial systems are the future of mining. Leptron unmanned aircraft system (UAS) technology can improve worker safety by minimizing time spent in hazardous areas and reduce mining operation costs. Drones can provide accurate, survey-level data at a fraction of the cost and are much more convenient to deploy and operate. Survey projects that once took days or weeks using costly, traditional techniques may now be completed much more quickly and under safer conditions. Mining applications include: monitoring stockpiles, mineral exploration, inspections, 3d modeling, exploration, development, mapping, time lapse photography, remote sensing, risk assessment, sampling, and equipment tracking. 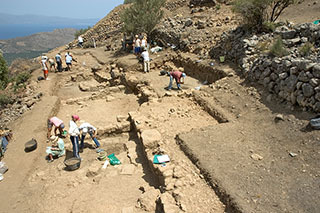 Archeology and Geology are very exacting sciences and extremely demanding on visual reproduction. Leptron helicopter drones allow highly accurate HD Photos and HD Videos of either extreme altitudes and large expanses. The patented Autopilot feature with pre-designed mission management allows the pilot to create detailed flight plans from digitized maps with exact ‘Way Points’ and automated photo management. With the optional photo rendering software, 3D maps and topography is easily created in conjunction with the time-lapse photos to create highly detailed maps for elevation, structures, detailed measurements, volumes and other scientific analysis. Also, because of the electric propulsion, they fly at altitudes our competitors cannot touch without messing with fuel carburetors and windy conditions. We also offer hover capabilities and the ability to carry select professional HD video equipment and sensors so that no shot escapes you.